Police in Wandsworth have warned people to be on their guard for thieves while attending office parties in local bars and restaurants. A police spokesman told PutneySW15.com that womens’ handbags were particularly at risk, but laptops and iPads were also being stolen. 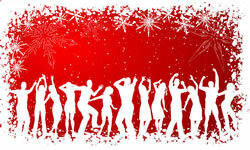 Hundreds of workers prepare to celebrate Christmas with office parties over the next few weeks. One bar manager said he believed gangs from the West End came to target affluent suburban areas like Putney & Wandsworth at this time of year. Asked what advice he had for people he said that they should try to leave valuables at home when out for the night over the Christmas period. If people were going out straight from the office he advised them to leave valuable laptops and iPads locked in the office and not take them into pubs and restaurants. “There’s no need to have your laptop or iPad in the pub if you're at a party, ” he said. • Be aware of what is happening around you, especially if you are in bars or venues you haven’t visited before. • Always keep your bags zipped or locked and valuables out of sight. • Be aware of how many drinks you’ve had, and where you’ve left your glass. • Don’t accept drinks from anyone you don’t know or trust completely. • Think ahead and plan your journey, especially your return home. • Use a licensed taxi company you know or one recommended by friends. Remember any minicab that isn't booked by phone, email or in a licensed minicab office is illegal and unsafe. People who are approached by minicab touts or unbooked vehicles are being urged to pass on details to Transport for London which is determined to tackle these illegal activities. To find out more and to submit a report visit the TfL website. Meanwhile the National Fraud Intelligence Bureau, based at the City of London Police and working as the central fraud intelligence hub for the UK, have compiled a list of 12 frauds expected to be put into play throughout December. A detailed description of each fraud and how it works is containDecember 10, 2012488EE4C-A0B4-4443-97E7-13EA3C34D157/0/The12FraudsofChristmas2012.pdf"> an online guide which can be downloaded here. “Fraudsters will be working overtime in the lead-up to Christmas, using criminal tricks old and new to steal what people had been looking forward to give and planned to share with friends and family. “The “Twelve Frauds of Christmas” are here to shine a light on their festive cons and help the public and business community protect themselves from becoming the latest victims throughout December, and beyond.